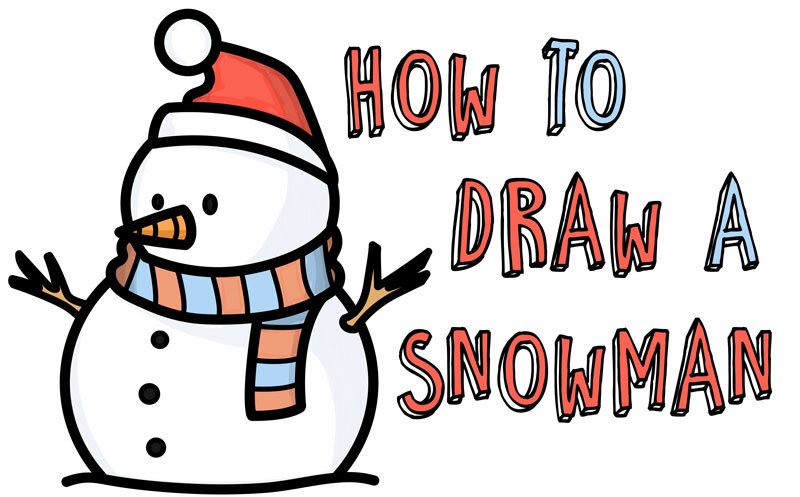 Today I'll show you how to draw an adorable cartoon snowman wearing a Santa hat. It is pretty easy to draw and I will guide you through all of the steps that it takes to draw him. 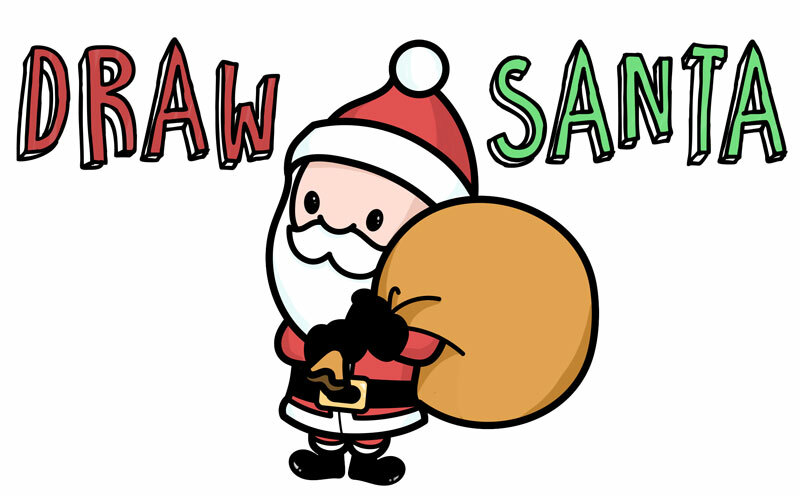 Here is a super cute, super easy to draw, cartoon Santa Claus for you to learn how to draw for Christmas time. I will guide you through the process of drawing this cute / chibi Santa with easy to follow, step by step instructions. 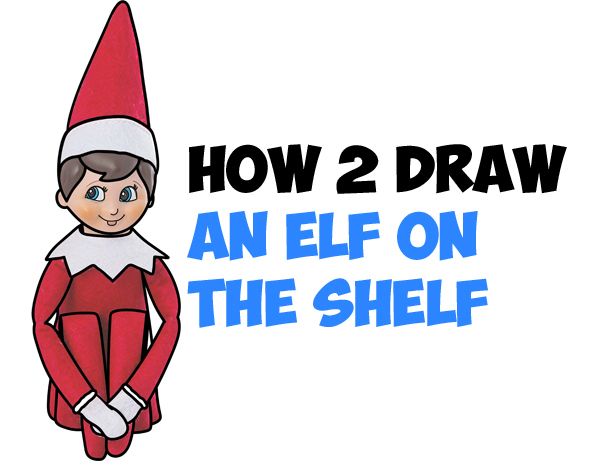 Today I'll show you how to draw one of Santa's elves in cartoon style. I have broken this lesson down into almost 30 steps to make sure you are able to follow along. This is a great tutorial to work on as it nears Christmas day. 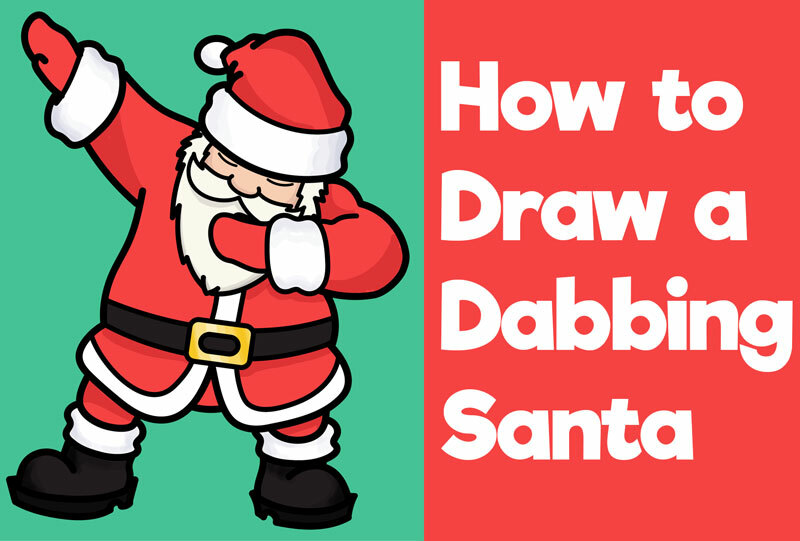 Today I'll show you how to draw a cartoon Santa Claus in a dabbing pose. This is a great drawing tutorial for kids and older people to learn to draw around Christmas time. 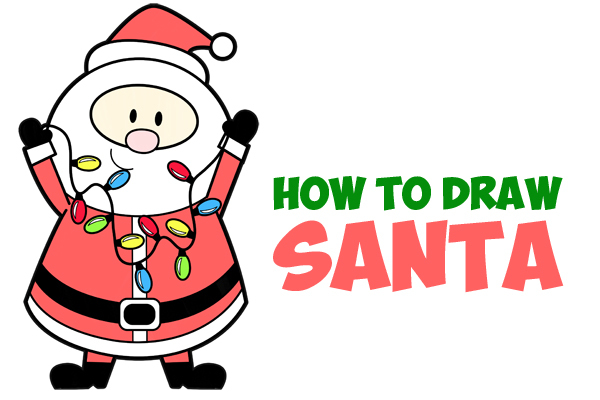 Today I'll show you how to draw an adorable Santa Claus holding up Christmas lights. 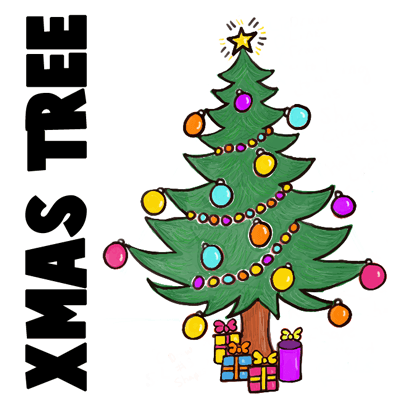 It is really easy to draw and kids of most ages will enjoy drawing it during Christmas season. 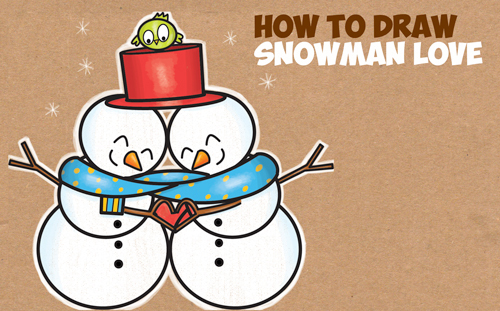 Today I will show you how to draw adorable cartoon snowmen hugging and creating a heart with their stick hands. This cute snowman couple is in love and is snuggling and cuddling under a shared scarf with a cute baby bird looking down on them as it snows. This is pretty simple to draw, just follow along with this easy steps lesson to draw it too. 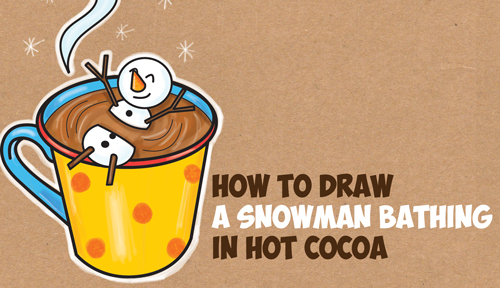 Today I'll show you how to draw an adorable / cute cartoon snowman swimming / bathing in a mug of hot cocoa (probably not the best idea for him). I will guide you through these simple steps with easy-to-follow instructions for kids of all ages. Celebrate the next snow day / Christmas / or Chanukah (Hanukkah) with this great snowman drawing tutorial. 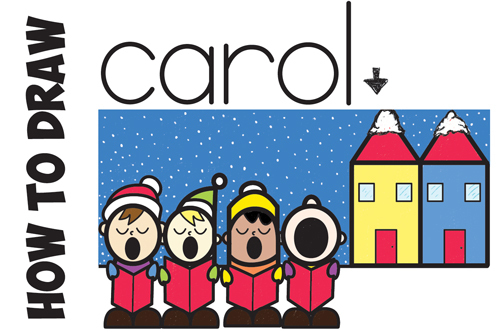 Today I'll show you how to draw cute cartoon children / carolers singing Christmas songs, out in the snow...from the word "carol". This is a cute word cartoon step by step drawing lesson for kids to celebrate Christmas and Winter time. Have fun and happy drawing! Today I'll show you how to draw and paint (or color with colored pencils or pastels) Christmas Lights or a string of lights. 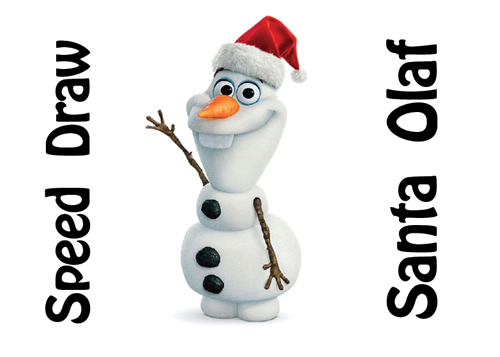 Follow along for a fun Christmas drawing or craft...great for kids and beginners. Happy Drawing! 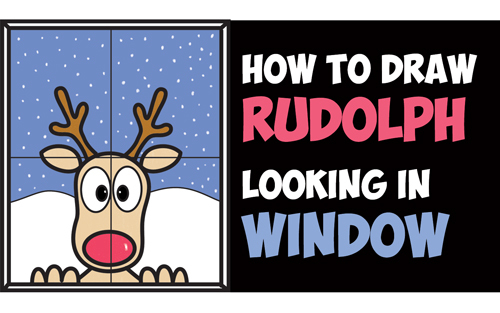 Today I will show you how to draw a cute cartoon Rudolph the Red Nosed Reindeer looking in the window at you. This is a cute art lesson for kids of all ages, even Kindergartners and Preschoolers and First Graders, who want to learn how to draw Rudolph for Christmas time. I have broken down this simple tutorial into easy steps that are fun to draw. Happy Drawing and Merry Christmas! 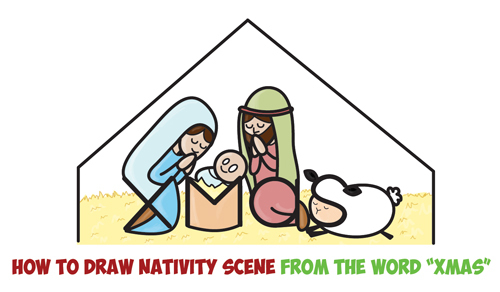 Today I'll show you how to draw a cute cartoon nativity scene with Joseph, Mary, a sheep, and Jesus in a crib in the manger...and all from the word "Xmas". 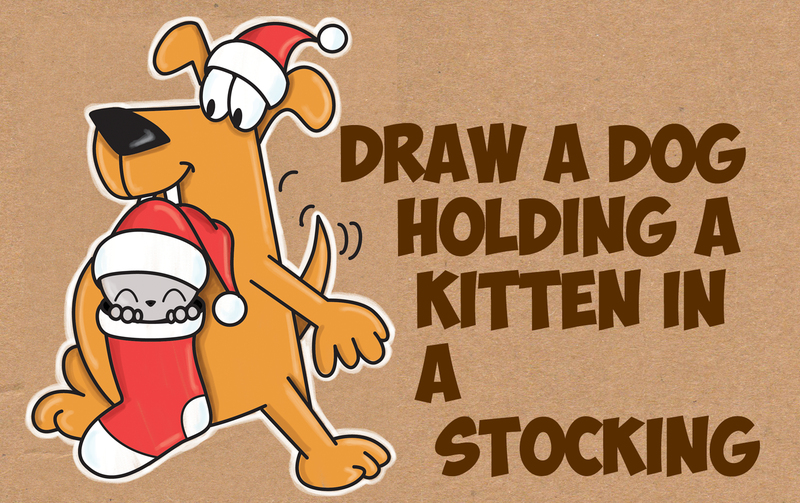 This is a fun word toon drawing tutorial for kids around Christmas time. 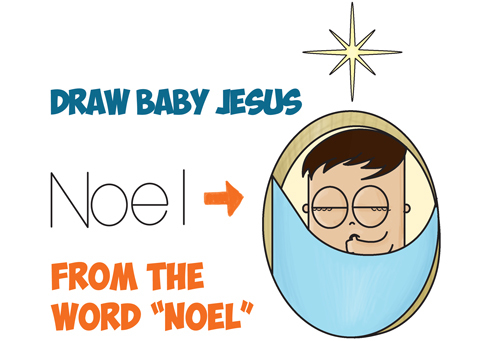 We turn the word "Xmas" into Mary, baby Jesus, Joseph, and a sheep in the manger. Happy Drawing and Merry Christmas. 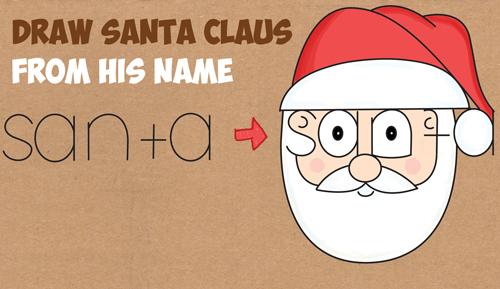 Today I will show you how to draw a cute cartoon Santa Claus from his name...this is a word cartoon drawing tutorial for kids. You start off with the word "Santa" and then you keep adding simple shapes until you land up with Santa Claus' face. This is a great alphabet letter drawing lesson for kids of all ages. Happy Drawing! Learn how to draw cartoon Christmas trees with the following easy-to-follow, illustrated instructions. This Christmas tree is perfect for drawing a beautiful holiday-themed Christmas card for your relatives and friends. 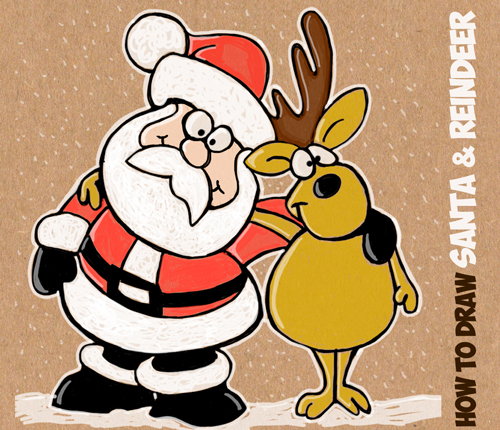 Learn how to draw a cartoon Santa Claus with one of his trusty reindeer in this simple step by step Christmas drawing tutorial. Learn how to draw a baby reindeer, or chibi Rudolph the Red Nosed Reindeer. Chibi is a baby-anime-style drawing. 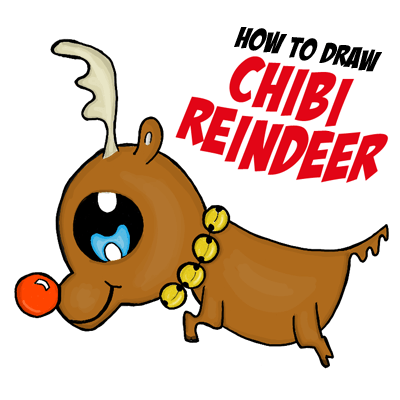 I will guide you thru the process of drawing this chibi reindeer with easy to follow steps. This is a great drawing lesson for children and young kids. 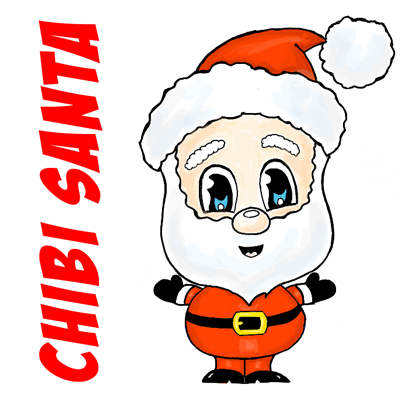 Learn how to draw a Chibi-style Santa Claus that you can draw on your Christmas cards. This drawing lesson will guide you thru each step of drawing Chibi Santa Claus. I hope that you have a lot of fun! 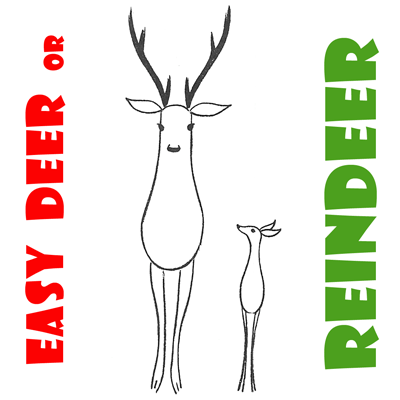 This tutorial is to teach kids and preschoolers how to draw reindeer or deer with an easy step by step drawing tutorial. 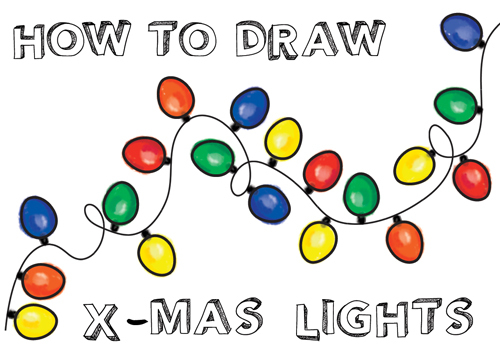 Are you looking for a drawing tutorial for your kids on Christmas? I think this drawing lesson will be perfect for your little ones. With Christmas being in just a few days, I thought you guys might want to learn how to draw a wrapped gift or present. 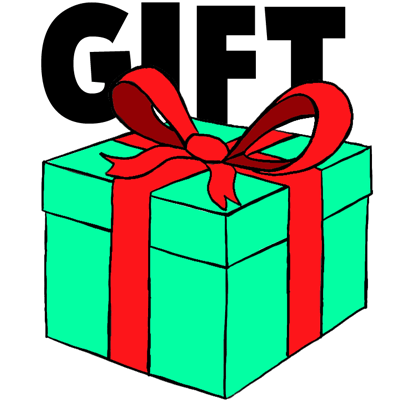 Below you will find an illustrated tutorial on how to draw a cartoon wrapped gift with ribbon and bow. Christmas ornaments are a beautiful way to decorate your Christmas tree during the holiday season. 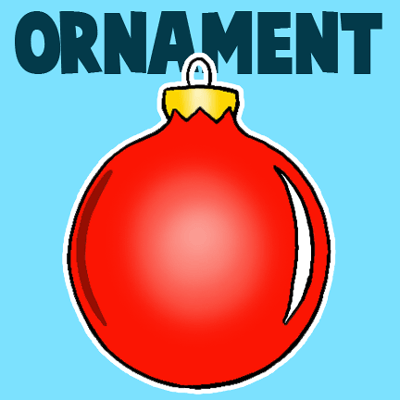 Today we are going to show you how to draw a ball-type Christmas ornament. These are pretty easy to draw if you know how to do it. We will guide you, step by step, with the following illustrated tutorial. It is fun to draw a Santa hat on everything around Christmas time to make things look festive. If you want to learn how to draw the hat that Santa Claus wears, then look no further than this tutorial. 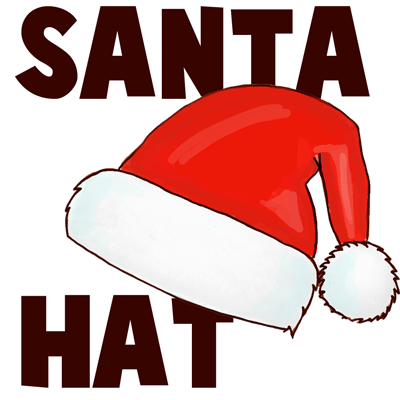 We will show you how to draw a cartoon version of Santa's hat in this tutorial. Christmas is upon us and you might be thinking of drawing pictures on your Christmas cards or when making your homemade gift wrap. Well Christmas trees are wonderful for all of your Christmas artwork. 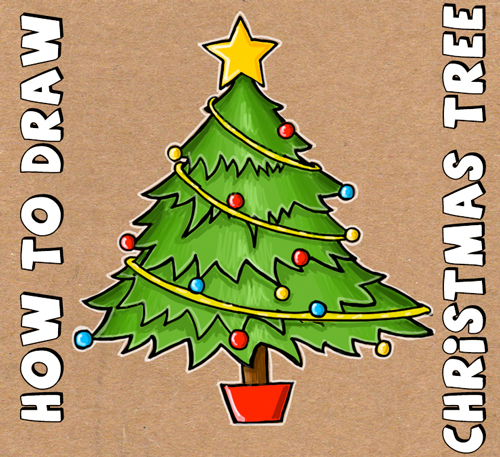 Find out how to draw this cartoon Christmas tree with the following step by step drawing tutorial. Santa Claus has a lot of work to do to get ready for Christmas, but he doesn't do it all himself. He has an entire staff of Elves over in the North Pole. 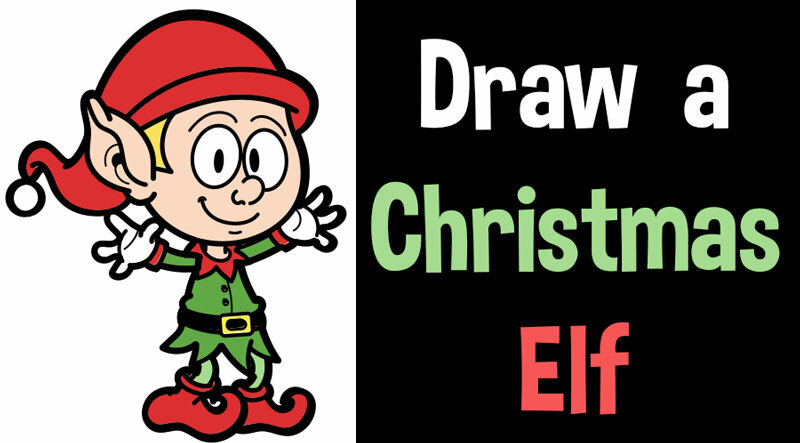 Find out how to draw a Xmas elf with this tutorial. The step by step drawing instructions can be found on this page...along with a dozen or so illustrations for you to follow. Snow is one of the most beautiful natural events that happen in this world and it is even more beautiful if you look at the each individual snowflake. Snowflakes are geometrical wonders and they are gorgeous. 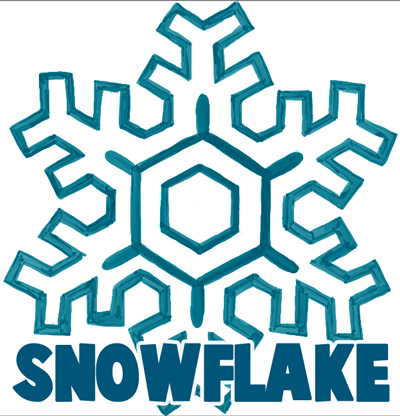 Today we will show you how to draw an individual snowflake...use what you learn to draw your very own snowflake creations. Here is another Christmas reindeer for you to draw. This one is also a cartoon reindeer, but this one stands up and holds on to a Christmas bell and Christmas tree ornament. Learn how to draw him with easy step by step drawing instructions. 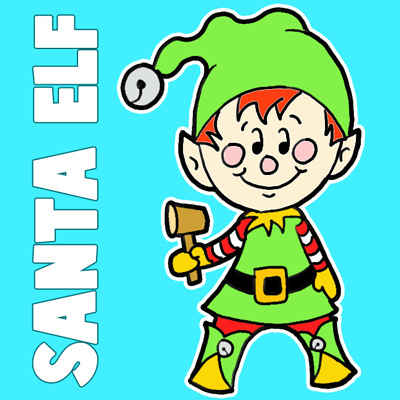 Color his nose red to make him Rudolph the Red Nosed Reindeer. 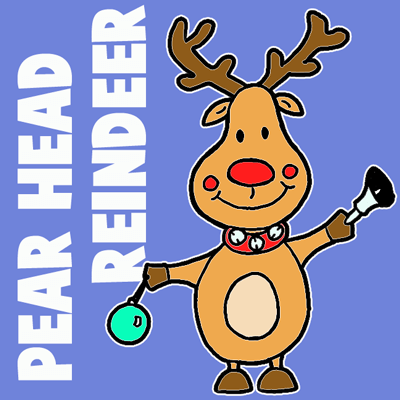 Here is a simple cartoon reindeer that you will have no problem learning how to draw for Christmas. You can even color the nose red so you can call it Rudolph the Red Nosed Reindeer. 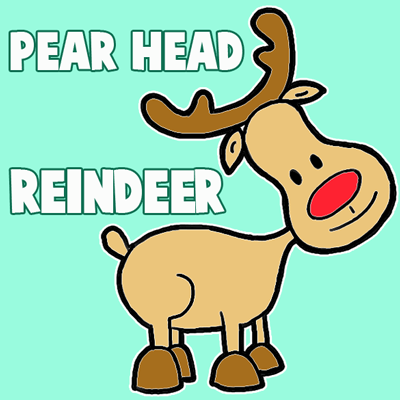 The basic shape of the head is made with a #8 shape and the other parts of the reindeer are made with basic shapes as well. Today we are going to show you how to draw a Christmas stocking filled with gifts and goodies (including a candy cane, present, and a snow man). We show you how to draw this stocking with simple shapes and forms.